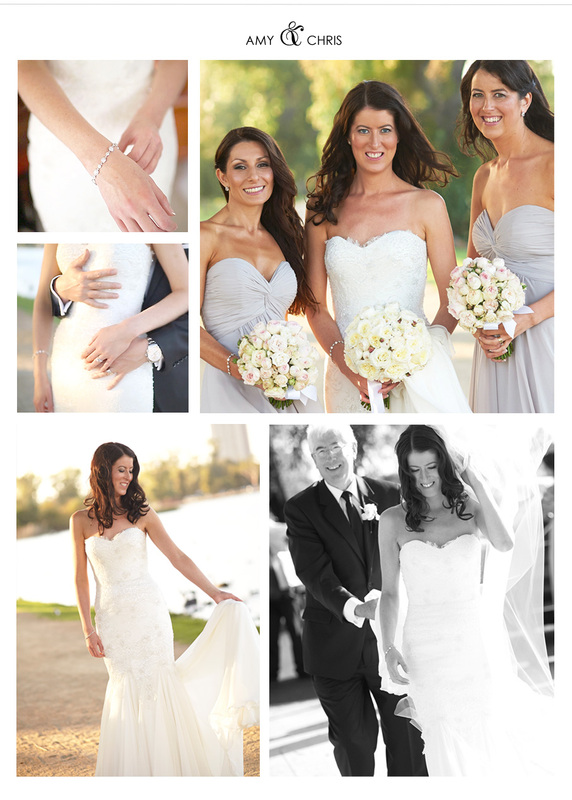 Our featured brides have chosen to adorn Miss Amy jewellery for their wedding day. We love to see our designs playing a special role in theses beautiful celebrations. Working with our brides and seeing these captured moments is both wonderful and rewarding. Please enjoy these special photographs and may you find your own wedding day style inspirations. Exquisite bride Amy married Michael at the gorgeous Hopewood House in Bowral in the NSW Southern Highlands. The bride wore a divine lace gown by PRONOVIAS from Dressence in Sydney with flowers from Merci Bouquet. 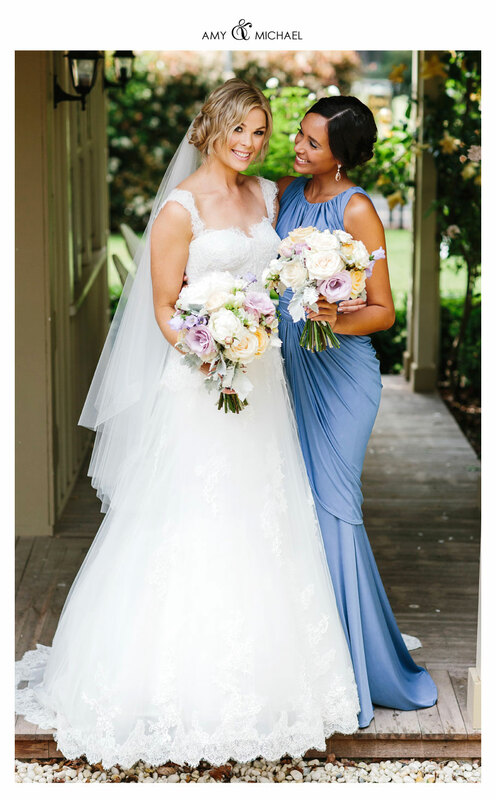 Amy's bridesmaids looked beautiful wearing sparkling Miss Amy SUNSETS AND YOU EARRINGS paired with stunning blue floor length gowns from WHITE RUNWAY. Amy and her husband are now enjoying married life in their new home in Dubai. 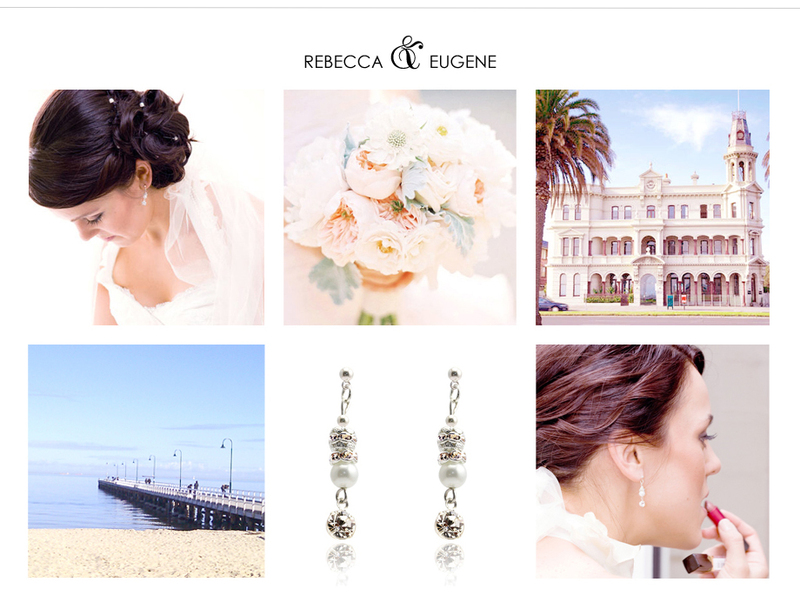 Glamorous Perth bride Stacey selected Miss Amy VICTORIA EARRINGS for her stylish wedding. 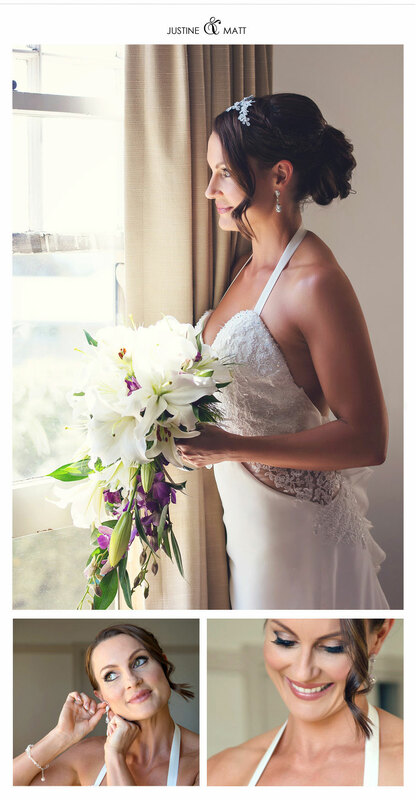 Stacey looked incredible wearing a gown from Brides By Design with gorgeous blooms from Miss Me Not Flowers. Stacey married Ryan at St Edmunds church in Wembley. These divine images were captured by the talented Crosbie Photography. Justine and Matt were married on the picturesque Mornington Peninsula in Melbourne. Glamorous fitness model Justine wore our sparkling Miss Amy AND SHE DANCED EARRINGS for her summer wedding. A custom made Miss Amy Swarovski crystal and pearl bracelet completed the brides contemporary wedding day look. Justine's four lovely bridesmaids wore Miss Amy VICTORIA STERLING SILVER STUD EARRINGS matched with Miss Amy ALWAYS IN MY HEART BRACELETS. 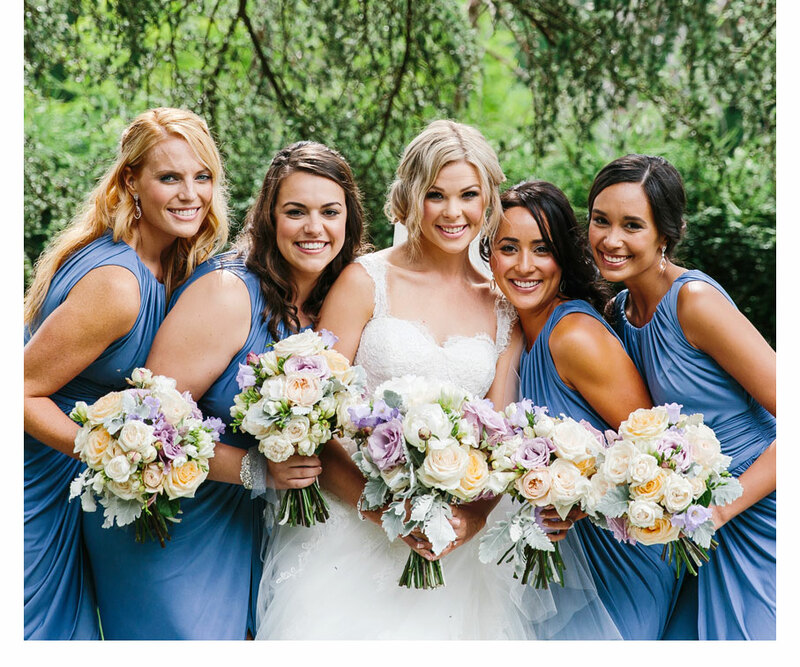 Justine and her bridesmaids wore gowns from AUSTRALIAN DESIGNER BRIDAL AND FORMAL. Justine and Matt celebrated their perfect wedding day with family and friends at the iconic Portsea Hotel. Their lovely occasion was photographed by the award winning Mark Dayman. We wish the happy couple much love and happiness. Stunning bride Natalie married her fiancé Andrew wearing a decadent CROCE & COLOSIMO COUTURE gown paired with our glamorous Miss Amy AND SHE DANCED EARRINGS. Natalie's bridesmaids each wore Miss Amy ROMANCE IN PARIS EARRINGS. These sparkling statement earrings were the perfect match to elegant black floor length gowns from SWISH CLOTHING. 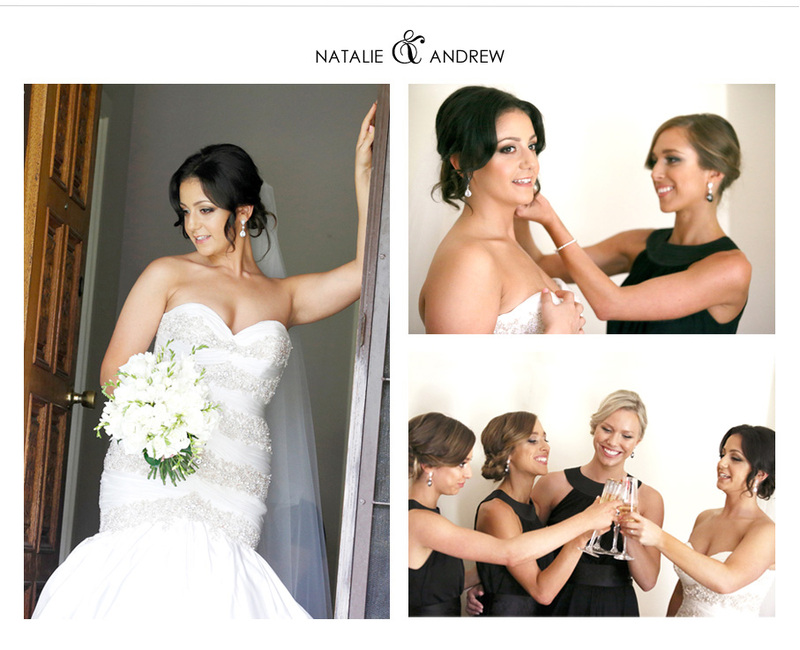 Natalie and Andrew celebrated their marriage in magnificent style with a fabulous reception at Sketch. This lovely Central Pier location showcased perfect waterfront views alongside Docklands, Melbourne. Amy and Chris were married at The Carousel alongside the stunning Albert Park Lake and Melbourne city skyline. This elegant venue was dressed with contemporary styling for this special occasion. Pure white florals, crystals, mirrors and candle light adorned the table settings. Modern, glistening white chandeliers lined the ballroom, whilst a classic white piano took centre stage. Amy wore a hand beaded, crystal encrusted MARIANA HARDWICK gown with a beautiful Georgette silk train. She complimented this with a long veil and soft curled out hair. Simple Swarovksi studs and the Miss Amy ALWAYS IN MY HEART BRACELET were the perfect accessories. Her bridesmaids wore AMALINE VITALE silver lavender floor length gowns. These were matched with sparkling Miss Amy VICTORIA STERLING SILVER STUD EARRINGS and Miss Amy ALWAYS IN MY HEART BRACELETS. Amy and Chris are excited to share their lives together as husband and wife. This lovely bride and groom were married at the iconic heritage listed building, The Victorian, in bayside Albert Park, Melbourne. This ideal site, located by the famous Kerferd Road pier, provided a beautiful setting for this intimate wedding. Rebecca chose our Miss Amy RENAISSANCE PEARL EARRINGS to compliment her stunning halter neck, lace gown. Her gorgeous dress and jewels were paired with a long flowing veil and glamorous hair, swept softly to the side in a pretty curled up do. Rebecca’s bridesmaids wore Miss Amy MOONLIT EVE CRYSTAL BRACELETS with matching Miss Amy SMOKY CINDERELLA CRYSTAL EARRINGS. Congratulations Rebecca and Eugene on this special occasion. "The necklace and earrings you made especially for Tahlia are absolutely stunning. Your jewellery designs are amazing and unique. This is my second purchase from you and I am ecstatic with how beautiful they are. You are very talented Amy and have great vision in designing jewellery. Thankyou so much." "I bought my wedding bracelet from Miss Amy and I can not thank you enough. Your service was just over and above. I wanted something specific that Amy made for me and it was done quickly and it looks amazing. Very Happy." "Hi Amy, my jewellery arrived today and oh my goodness! It is beautiful (the pictures clearly don't do it justice) and the presentation of it is amazing. You far exceeded my expectations. Thank you so much! I will be telling my friends about you." "I just wanted to say a huge thank you for the bracelets. They are absolutely beautiful. I look forward to giving them to the girls on the day." "Thanks for the beautiful bracelets so happy with them all and the earrings." "So perfect !! 10/10 !!!! THANKS A LOT"
"My bracelet came very quickly and it looks beautiful on. I love it and will buy more items off u in the near future." "Hi Amy, Thankyou so very much I received my jewellery set today and its gorgeous. I cannot wait until I can wear it on my wedding day." "Hi Amy, I just received the jewellery - I love them, they are amazing!! So glad I got the additional bracelet. Thank you very much!" "Hi Amy! Your amazing products arrived yesterday! Thank you so much!" "These pieces of jewellery are just stunning! So simple and elegant which is exactly what I wanted! Absolutely love them and can't wait to wear them on my wedding day. The service Amy gave me was excellent, such a kind heart! I will definitely be buying from her again and I received them exactly when she said they would arrive."